Fire Extinguishers - Do you require Fire Extinguisher maintenance/servicing works? Do you require Fire Extinguisher maintenance/servicing works? If your portable fire extinguishers are maintained to a quality standard it will ensure they are ready to use in the event of fire. Fire extinguishers are a safety provision that can be undervalued at times, but would be the first thing you would look for if a small manageable fire broke out in your building. It is therefore crucial that these are serviced and maintained on a frequent basis to ensure your building is ready with the correct provisions in the event of unexpected fire. When using this search tool, you should specify your requirement as 'Fire Extinguishers (Service/Maintenance)' in the drop down options. The results will show providers who are third party certificated to the BAFE Competency of Portable Fire Extinguisher Organisations and Technicians (SP101) scheme. For any further assistance you can contact the BAFE office at info@bafe.org.uk or 0844 335 0897. We would be more than happy to help assist you in finding a quality fire extinguisher service/maintenance provider for your requirements. It is recommended to specify third party certificated providers for your fire extinguisher servicing and maintenance requirements. Please use the link below for more information. 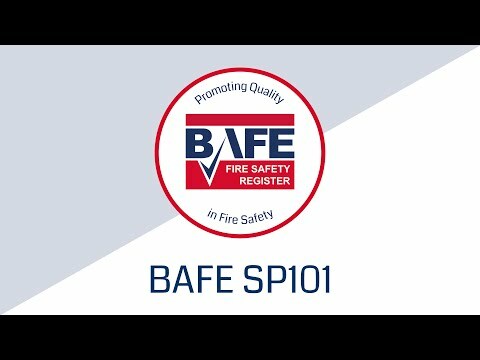 For further information on the BAFE Competency of Portable Fire Extinguisher Organisations and Technicians (SP101) scheme please visit the scheme information page which can be found using the link below.